California is arguably the Plastic Surgery Capital of the United States. Usually people think of plastic surgery in California as being isolated to Southern California and typically - breast augmentation. However, California is also a haven for those that wish to get eyelid surgery. Eye lifts are a common procedure in California and in neighboring Arizona. Here are a few places to check out as far as undergoing eyelid surgery (upper, lower and Asian blepharoplasty) or alternatives to eyelid surgery such as Restylane and Botox. This should help you consider your options in the State of California. The cost of eyelid surgery (blepharoplasty) can be daunting.Eyelid surgery (aka blepharoplasty or eye lift) comes with costs involved and often times, the patient seeking the surgery would have to pay full cost. There are several options as far as procedures and methods of payment. For many, the cost of eyelid surgery would seem intimidatingly expensive. After all, plastic surgery procedures are considered things that upper-middle class and upper class individuals can undergo. However, these procedures can be surprisingly affordable and people should know this. Generic Costs of Eyelid SurgeryIt all depends upon where you are getting the procedure done (eyelid surgery in Las Vegas would differ from eyelid surgery in Tallahassee), which type of surgical procedure you are getting, type of anesthesia, the surgeon you wish to have perform the operation and the facility. Now that the variables are established, the discussion of cost can be honestly explored. Local anesthesia is much like a dental procedure, which can make the procedure more cost-effective. This is not always an option! Upper blepharoplasty can run anywhere between $1,800 to $3,500. A patient that undergoes local anesthesia in an out-patient setting will pay toward the lower end. A patient that undergoes IV sedation would run toward the higher end. Lower blepharoplasty can run anywhere between $2,100 to $3,500. A patient that undergoes local anesthesia in an out-patient setting will pay toward the lower end. A patient that undergoes IV sedation would run toward the higher end. This can cost anywhere from $3,500 to $5,500. A patient that undergoes local anesthesia in an out-patient setting will pay toward the lower end. A patient that undergoes IV sedation would run toward the higher end. Sounds like a lot, but you have only ONE set of eyes and great work by trained, experienced surgeons can improve your appearance. However, there are situations where your insurer would be able to defray the costs of the procedure. Not all blepharoplasties are the same, there are people (maybe you included) that require a blepharoplasty to be able to see without any obstructions. Insurance CoverageInsurance companies do not cover cosmetic procedures, but in some instances would cover necessary surgeries that meet their requirements to show that an upper blepharoplasty is medically necessary. Here are the standard requirements that a typical insurer would use to qualify you for coverage. This was taken from North Carolina Blue Cross Blue Shield as referenced in this article concerning eyelid surgery in Durham, North Carolina. 1. Office records that indicate signs and symptoms of vision disturbance secondary to redundant or drooping upper eyelid tissue, including evaluation for Horner’s syndrome. Patient complaints may include interference with vision or visual field, difficulty reading due to upper eyelid drooping, looking through the eyelashes or seeing the upper eyelid skin, etc. For entropion, pseudotrichiasis, ectropion, and corneal exposure specific symptoms, duration and severity must be noted. (Required for all cases). How much your insurer will pay for depends upon your deductible, how much you have left on your annual deductible, co-insurance considerations and maximum out-of-pocket medical fees established in your policy. Non-surgical alternatives to eyelid surgery are becoming more popular.It is not just about saving money, it is about saving you from going unnecessarily under the knife. Many surgeons will recommend non-surgical options to treat ptosis. The cost of surgery can be viewed as pricey and it turns out that may surgeons, dermatologists and other medical professionals involved in oculoplastics may strongly suggest minimally invasive, non-surgical options. After all, if they are recommended by the surgeons, do not require a surgical procedure and cost less - isn't that a good thing for the patient? Who wants to pay more to defy the good conscience of an experienced surgeon(s) just for the experience of going through surgery??? Typically, a treatment costs $300 to $800. However, in some markets in the Northeast, a Juvederm treatment could cost $600 to $1,000. It can be a much more cost-effective alternative to lower blepharoplasty in Huntington, NY and related eyelid surgery in Garden City. These fillers can last 6-12 months and are a go-to for oculoplastic surgeons for patients under the age of 40. Immediate gratification and lower costs make it a great option. Expect to be charged per syringe, not per eyelid. A syringe that holds 1.0 cc of Restylane typically costs between $400 and $600. The number of syringes used depends upon the patient’s physical situation and aesthetic goals. It all depends upon the surgeon administering the injection and where you are located. Expect to pay more in some markets than others. The actual procedure could range from $550 to $800 per syringe used. It is still a less expensive option for an eye lift in Sugar Land or in areas not considered enclaves for eyelid surgery, such as Jacksonville, Florida. It is used to relax the eyelid muscles and it helps open up your eyes so they look more youthful and awake. Botox is priced per unit used and typically Botox is priced between $9 and $25 per unit. However, many people require more than one unit, in fact, the number of units could go as high as 12 in one sitting for treating crow's feet and bags. 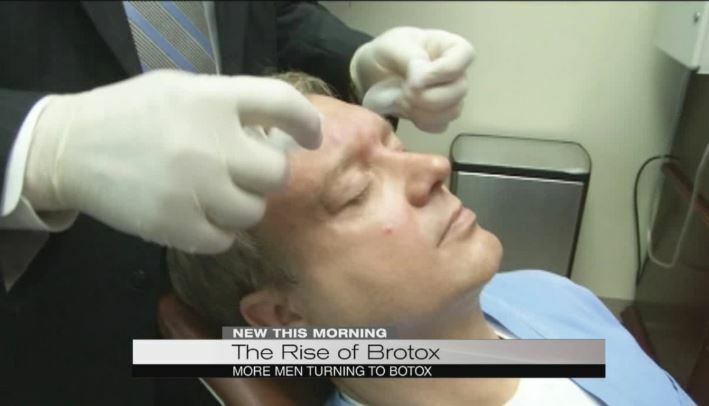 According to the FDA, it takes a minimum of two times more units of Dysport to get the same effect as Botox. Dysport typically costs 50-60% less per unit than Botox. You may have to determine if this is worth it. Your doctor will advise you on this option. Juvéderm: the eyelid surgery alternative? Wondered what Juvéderm was, but was perhaps too afraid to ask?The popular injectable filler, Juvéderm, which has a name that can be properly translated to "young skin" has become very popular for those that wish to refresh their eyes without undergoing a surgical procedure. Its purpose is to soften deep folds and reduce wrinkles that come with age and stress. With a name like Juvéderm, the product has to serve a purpose of rejuvenating the skin in some fashion. Juvéderm is an Allergan branded product that competes against Restylane, another dermal filler that is produced by Q-Med. Juvéderm is considered to be softer, more malleable and easier to inject by some doctors than Restylane. Juvéderm is not just used for the eyes, it is used for other parts of the face including the lips. However, for the purposes of this site, the benefits to the eyes are discussed. Juvéderm is considered the cutting edge of non-invasive, non-surgical dermal filler technology. The gel is composed primarily from hyaluronic acid which as is a material, naturally found, readily throughout the human body. It promotes hydration of the skin as well as serves to restore volume to the skin and its underlying foundations. Some doctors say that "it is a clear gel, looks very natural in the lips and for wrinkle correction, contains lidocaine for patient comfort and has good longevity (up to 12 months)". Typically, the benefits last six to nine months after injection and they may last longer if there is a follow-up visit a few weeks after the initial injection. This image provides a bit more detail as far as what the injection is like. The transparent Juvéderm gel is injected with a syringe into the mid- to deep dermis of your face. The dermis is the subsurface skin layer that contains connective tissue, nerve endings, sweat and oil glands, and blood vessels. The costs of a procedure range between $800 and $1,300, which is much less than a blepharoplasty procedure! Side effects with Juvederm are rare, but may include redness, tenderness, or pain at the injection site. If these occur, they usually subside within three days. Rarely, discoloration may occur, but this is reversible. Firmness, swelling, bumps and bruises are also rare side effects, and should subside within seven days. If too much product is injected in the skin, it can be dissolved in 24 hours with a simple injection of hyaluronidase. Ptosis is the drooping or falling of the upper eyelid.Without the condition of ptosis, a majority of all of the surgical and non-surgical eyelid procedures would not take place. Yes, crows feet and bags are conditions that still would be addressed, but ptosis is the main problem to be addressed. Upper eyelid ptosis can make people look like they have lazy eye or have just been through a fight. Ptosis can rob people of their ability to see properly. Upper eyelids that droop too low can obstruct a person's view and require treatment or else visual conditions worsen. A person gets one set of eyes in life and a drooping eyelid or two should not get in the way of experiencing life. Drooping eyelids can be a safety issue too, not just for the individual with the ptosis, but also for others. Imagine driving on Atlanta's Downtown Connector with someone who has vision that is not 100% in a particular eye. That is a road that has fast speeds, fast action between multiple lanes and requires full 180 degree vision of what is happening in front of and beside the driver. That same Atlanta area driver with ptosis that did not get an upper blepharoplasty in Roswell or possibly a non-surgical eyelid procedure in Duluth. Ptosis can rob a person of their appearance and make them look ridiculous. Unlike under-eye bags, ptosis in moderate or extreme forms does not give off the appearance of aging, but rather it can make someone look crazy or flawed in a way that is hard to ignore. Celebrities such as Paris Hilton, Forest Whitaker, Sugar Ray Leonard, Taylor Lautner and Britney Spears have had ptosis at some point in their lives or currently have it. Many celebrities and television personalities feel the pressure to improve their appearance and blepharoplasty is a common way to address an appearance flaw that is very noticeable.